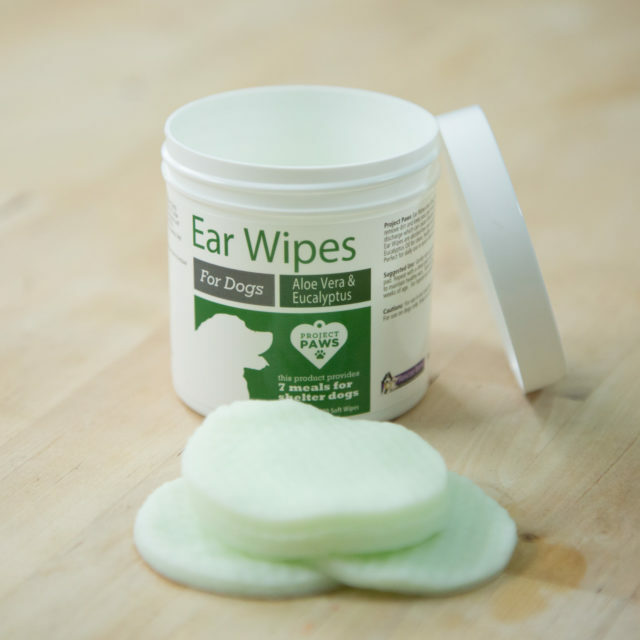 Project Paws® ear wipes for dogs are a fast, convenient way to gently remove dirt and keep your pet’s ears free of wax and discharge which can cause infections and odor. 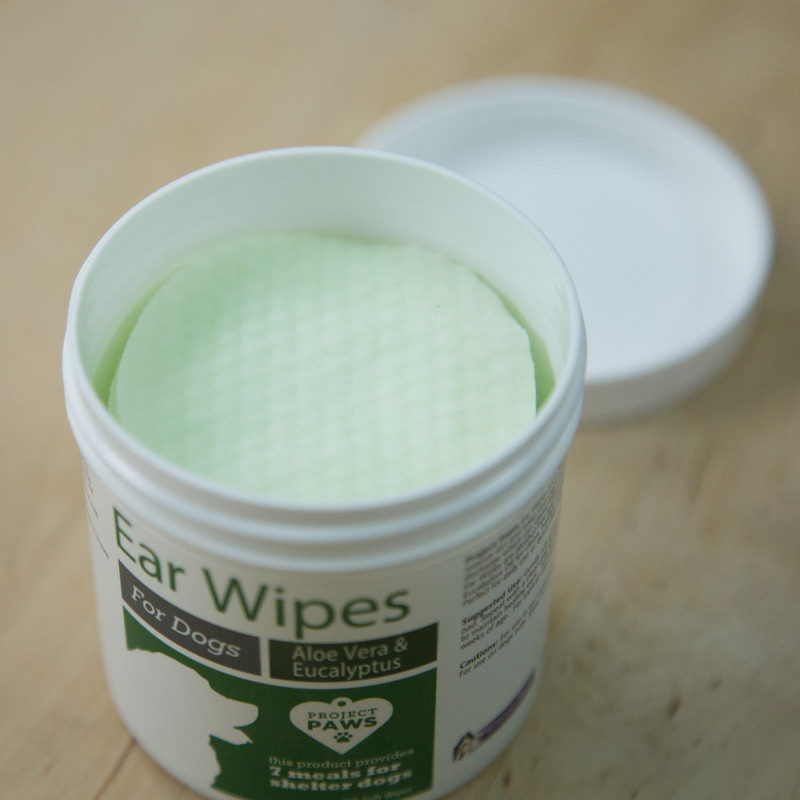 Our wipes are alcohol-free and contain Aloe Vera and Eucalyptus Oil for clean, healthy and fresh-smelling ears. Perfect for daily use or quick clean-ups. 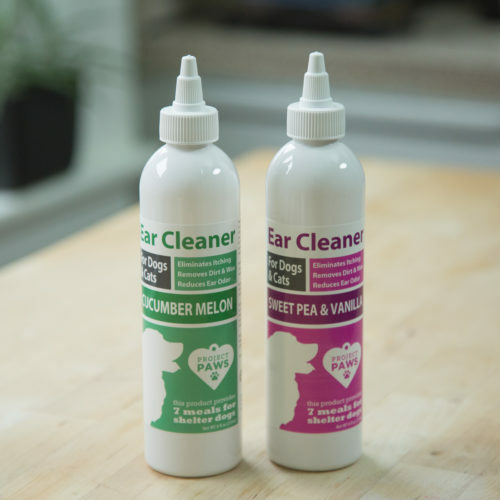 The only ear wipes on the market that gives back to shelter animals! 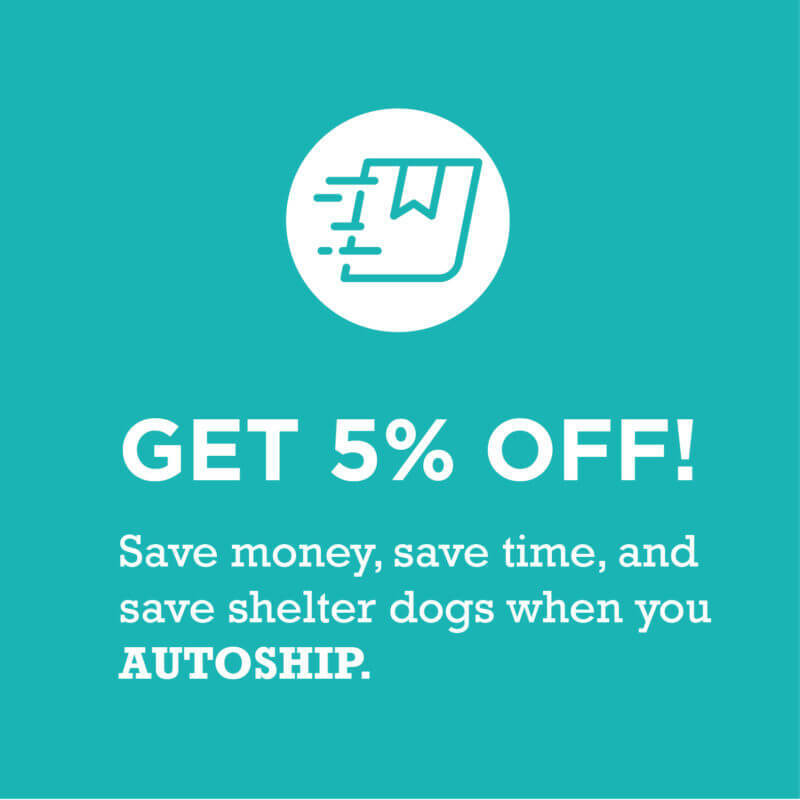 Each purchase funds 7 healthy meals for shelter pups. Gently rub accessible portion of ear with pad. 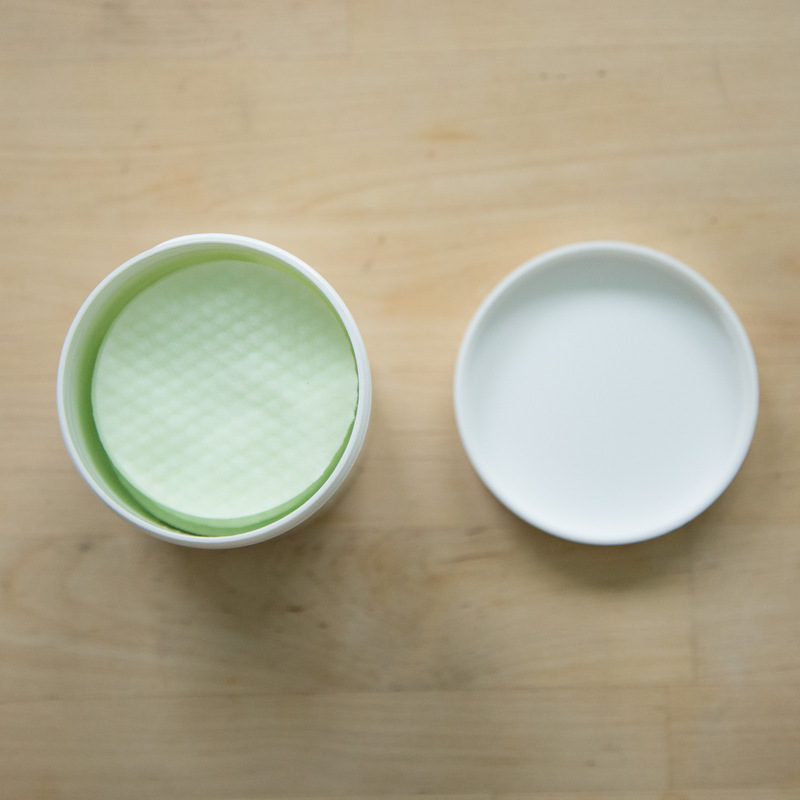 Repeat with a clean pad until pad is free of dirt. Use daily to maintain healthy ears. Safe for dogs and puppies over 12 weeks of age. For topical use within the ears. 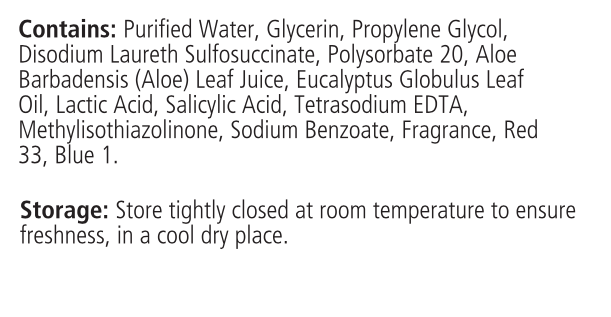 Warnings: For use in ear canal only. Avoid contact with eyes. For use on dogs only. Keep out of reach of children. 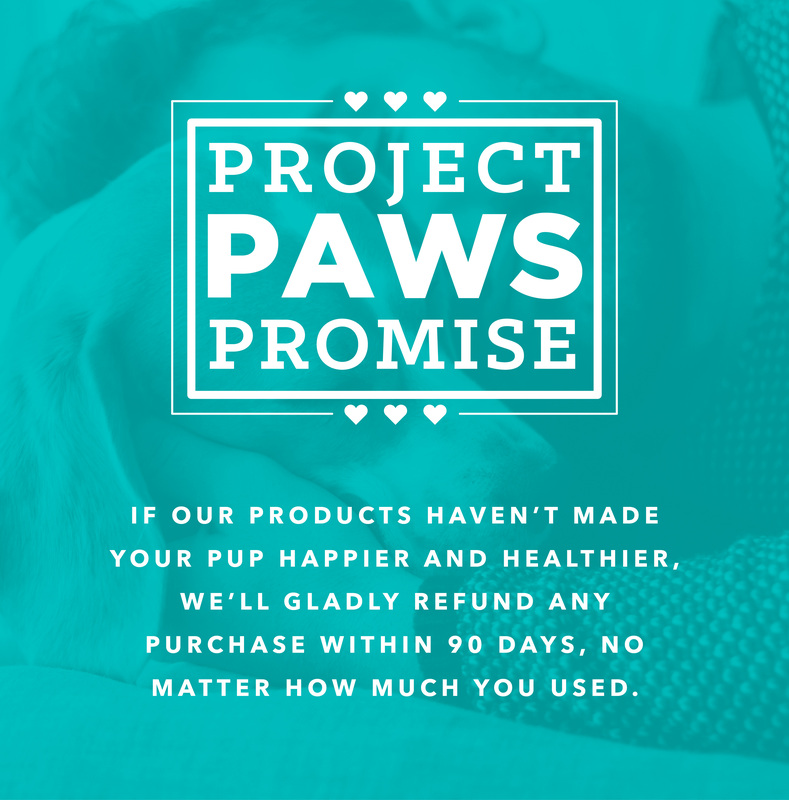 Tags: Project Paws, Spend $75 - Give An Extra 25 Meals!